In 2018-19, had five double-doubles on the season and 15 games with at least 20 points. Averaged 19.1 points , 5.9 rebounds, and 4.3 assists per game. In 2017-18, Led the team with seven double-doubles. Started all 33 games. 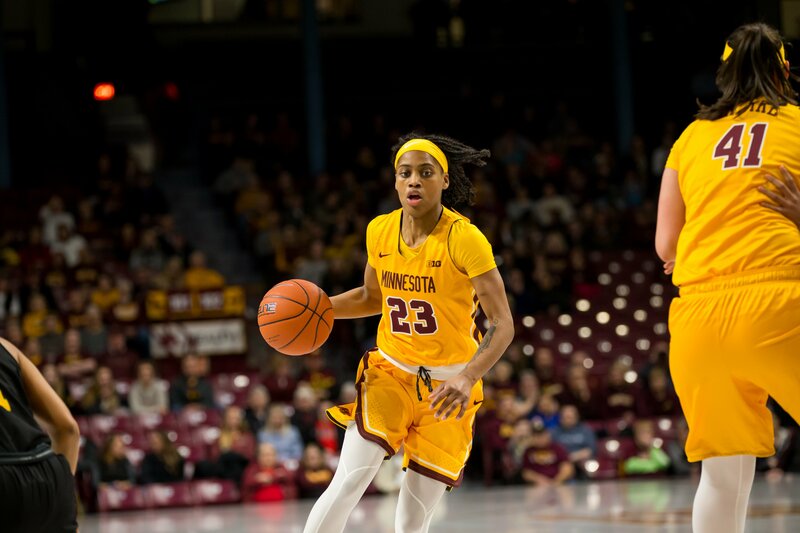 Established a Minnesota Big Ten Tournament Record with 10 assists and tied a team record with 14 free throw attempts against Ohio State. Set career highs in points (35), field goals made (13) and field goals attempted (27) at Iowa (2/4). In 2016-17, averaged 16.1 points, 4.2 rebounds, 4.9 assists (fourth in the Big Ten) and 2.2 steals (fifth in the Big Ten) per game. She started all 30 games in which she played and scored in double figures 28 times. Sat out the 2015-16 season due to NCAA Transfer Rules. As a Freshman at Marquette University, started all 28 games and was second on the team in scoring average at 14.5 points per game. Set program records at Marquette which include: points (434), field goals (157) and free throws (111). She scored in double figures 25 times, including a season-high 25 points against Northern Kentucky, notched 59 steals, ranking fourth all-time among Marquette freshmen named the BIG EAST’s freshman of the week four times. During Freshman season (2014-15), unanimously selected to the BIG EAST All-Freshman team.